Russian-Latin American relations are relatively warm these days, especially when it comes to a number of seemingly left-leaning countries such as Venezuela, Ecuador and Bolivia. Nonetheless, Washington’s indifference to these countries may have pushed these governments further into Moscow’s diplomatic embrace. The United States appears to have calculatedly severed any sort of close relations with these left-leaning nations, and has been prone to criticize them with the same degree of careless indifference as it has of Russia itself. In addition, these resident dynamics have provided the region with a growing autonomy; as Argentinean president Cristina Fernández de Kirchner aptly stated, “the world has changed, Latin America is nobody’s backyard.” This represents a full shift from Cold War politics, when the U.S. supported authoritarian regimes throughout the region in order to act as a firewall to contain Soviet influence within the hemisphere. In fact, much of the ever-growing presence of Russia in Latin America is due to Moscow’s aspirations to return to global preeminence, coinciding with Washington’s increasingly unsympathetic view toward a number of these left-leaning Latin American countries. Notably, Russia has been able to exert its influence on an expanding agenda of mostly military and energy issues through a series of existing ties, as well as through allying itself with Central American nations to fight ever-changing drug trafficking trends. As the U.S. has curtailed military and economic assistance to some emerging countries in Latin America, Russia emerged as a pivotal ally for some and a preferred alternative for others. Colombia and Venezuela, a Proxy Conflict? With Russia’s new relationships with leftist Latin American governments and the U.S.’ increasingly aimless presence in the region, one can discern a growing interaction among regional actors. In fact, this new direction seems to be reminiscent of a slow return to a Cold War modus operandi. As Carácas modernizes its army with Russian technology, Bogota is likewise being buttressed by the U.S., with its “Plan Colombia” (an international initiative to fight drug trafficking), and other countries like Israel and Spain. While both Venezuela and Colombia claim that they have decided to arm themselves for legitimate motives (Colombia as part of the U.S. “Plan Colombia” to combat drug trafficking and Venezuela for defensive purposes against a purported U.S. threat), this growing tension should not be taken lightly. In 2008, the Vice-president of Colombia, Francisco Santos Calderón, asked his Russian counterpart to halt arms sales to Venezuela in exchange for military and economic cooperation. 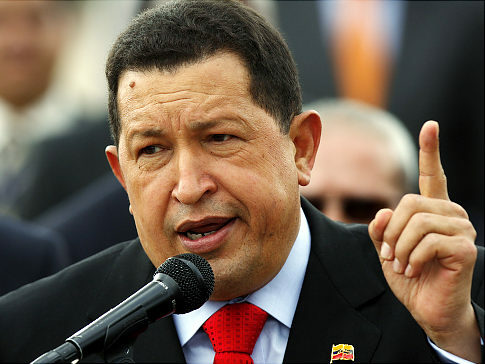 Furthermore, Colombian and U.S. officials have charged Venezuelan President Hugo Chávez of arming the Colombian guerrilla group, the FARC (Fuerzas Armadas Revolucionarias de Colombia – Revolutionary Armed Forces of Colombia), an insurgent group that represents a persistent disruptive factor between several Latin American countries. 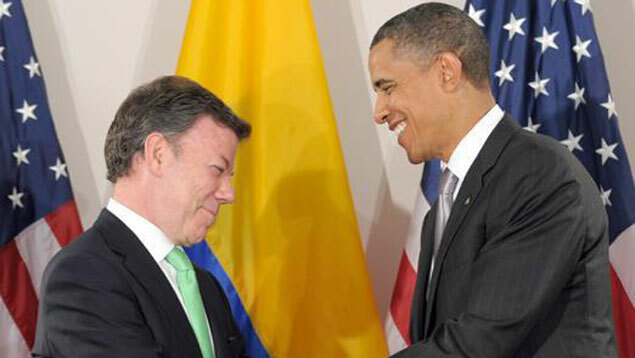 However, in what appeared to be part of an ongoing effort to restore relations between these two countries, in April of 2011 Colombian President Juan Manuel Santos, stated that the FARC was no longer operating out of Venezuela , which represented a very conciliatory posture on Bogota’s part. Aside from Venezuela and Colombia, other important regional players in Russian-Latin American relations include Argentina, Bolivia, Brazil, Cuba, Ecuador and Peru, among others. In November 2009, Ecuadorian President Rafael Correa signed far-reaching pacts with Moscow regarding cooperation on security and defense, even though Ecuador’s constitution “forbids taking on foreign debt for arm purchases,” In addition, with the help of Moscow, the Andean nation hopes to develop nuclear technology to meet a portion of its energy needs. 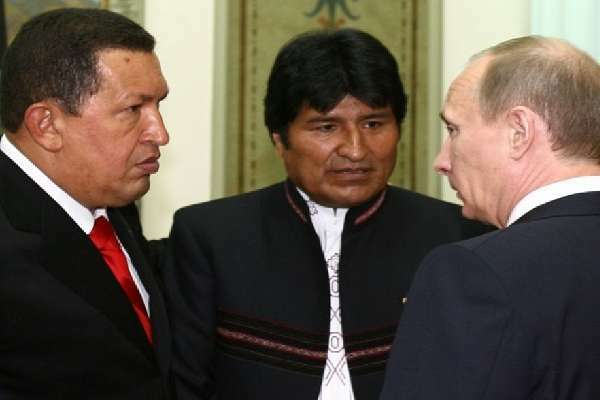 Coupled with President Correa, in April 2010, Bolivian President Evo Morales asked then-Prime Minister Vladimir Putin to promote a greater Russian presence in the Southern Hemisphere. Exemplary of this, Bolivia, like Venezuela and Ecuador, also has also invested in Russian technology; for example, the Russian aerospace company Ilyushin plans to build a regional maintenance center for its Antonov An-148 model in Bolivia. Furthermore, Moscow approved a 100 million USD credit line for La Paz in order to purchase a variety of military equipment, such as helicopters to combat drug trafficking, and a new presidential aircraft to replace the seriously-outdated American model from the 1970s that Morales currently utilizes. However, it seems that negotiations between La Paz and Moscow regarding the war against illicit drugs have stalled: Without explanation, Bolivia signed deals with the U.S. and Brazil in March of 2012, and has demonstrated a willingness to do the same with Colombia. Nonetheless, at the upcoming G20 summit in June, Russia intends to propose a new strategy to combat drug trafficking in an apparent attempt to reassert its influence in Latin America. Similarly, Brazil has stated its hope to modernize its armed forces with Russian technology. In 2008 the two nations signed a contract whereby both countries will cooperate in building a fifth generation jet fighter as well as new satellite launch vehicles. However, some are skeptical regarding the sought-after agreement, because Russia “may limit the transfer of technology for the fighter jets,” Peru too has followed analogous steps as Bolivia and Brazil. The Inca nation bought Russian military technology as well; such as Mi 35 helicopters to deploy against drug trafficking and to combat the insurgency. Additionally, Moscow seeks opportunities to scout links with Central American nations to fight drug trafficking. In contrast to American planned initiatives, like Plan Colombia or the Mérida Initiative for Mexico, aimed at combating the trafficking of drugs through military means, Russia has proposed the “Rainbow-3”, a plan to manage the drug trade through development and job creation. Notably, Rainbow-3 would raise the drug issue to a new level of international involvement, through the UN Security Council. Viktor Ivanov, director of the Russian Federal Drug Control Service, has criticized the U.S. approach for not focusing on “the elimination of the social causes of drug production, such as unemployment and poverty.” Furthermore, the Russian plan will provide special training and custom-tailored courses for the police forces of Central American countries at no cost to their governments. In a similar fashion, Russia wants to establish judicial cooperation with Latin American and Caribbean countries; such ties will focus on the crackdown of “narco-trafficking, organized crime, trafficking in arms, organs, and persons, corruption at the state and private level, and against kidnapping of kids and airplanes and ships,” The fundamental premise will be to enhance justice through a series of exchanges of methodologies and legislative acts linking the region and Russia. On the other hand, it is difficult to predict how effective such cooperation will be achieved through uproar cooperation models when both Russia and a number of Latin American and Caribbean nations are not particularly known for having the best transparency levels involving corruption practices. Quite clearly, Russia’s interest in Latin America is escalating. 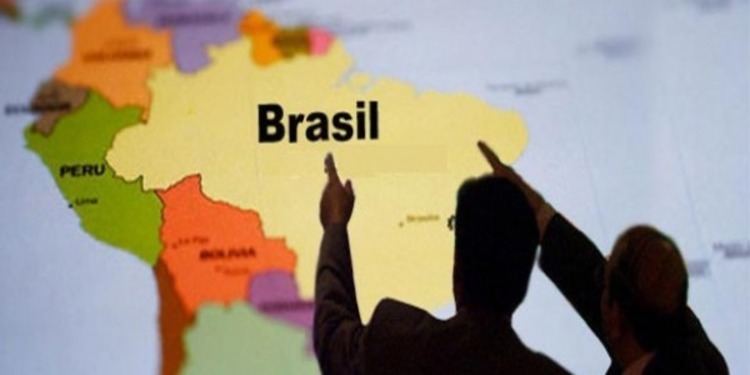 Russian Foreign Minister Sergey Lavrov, argued in his article, “The New Stage of Development of Russian-Latin American Relations,” that there is great attractiveness in establishing bilateral relations, especially when three of the top twenty emerging economies -Mexico, Brazil and Argentina- are in Latin America. Lavrov has also stated that the Russian Federation has an interest in joining the Inter-American Development Bank, perhaps a move to better accommodate Russian interests in the region, while at the same time neutralizing American influence. Demonstrably, Russia has been developing cooperative relationships with prominent organizational bodies of the region, such as the OAS (Organization of American States), and has ratified visa-free travel agreements with countries like Colombia, Venezuela, Ecuador, Peru, Brazil, Chile, and Argentina. In his article, Lavrov argues that Russia’s intention behind quests for partnerships is the establishment of non-ideologized relationships with Latin American countries, relationships that could be of mutual benefit to all parties involved. However, the Russian stance on Latin America ultimately may be cause for apprehension. The establishment of bilateral, cordial relations between Russia and Latin American countries could evolve to a proxy, neo-Cold War scenario. If the situation in the regions worsens, some countries would be funded and supported by the U.S., while others, including several members of Latin America’s “New Left”, would become the major beneficiaries of Moscow. An analogy of such practice is the Georgia – Russia crisis that surfaced in August of 2008. During this brief war, the U.S. sent military aid to Georgia on warships to territory Russia considers its “backyard” (i.e. the Caucasus and the Black Sea), infuriating Moscow. A month after the conflict erupted, ostensibly in retaliation, Russia sent two Tu-160 bombers to conduct military exercises with Washington’s least favorite nation in Latin America: Venezuela. 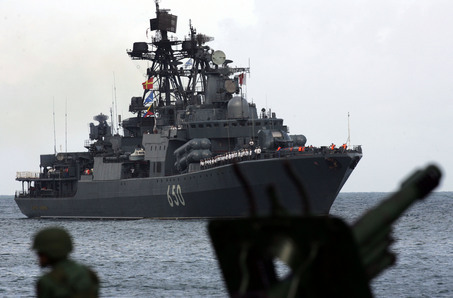 More importantly, in November of 2008 Moscow conducted war games with Caracas, in which a small Russian fleet was sent to the Caribbean to participate in joint naval maneuvers with the Venezuelan navy. This was a powerful symbolic act: as it was the first time that Russian warships had visited the Caribbean since the Cuban Missile Crisis. In the wake of the post-Georgia conflict, such joint military maneuvers between Russia and Venezuela were revitalized, and helped to build up the tensions between Washington and Moscow, sending strong signals of a Cold War revival. Furthermore, in the aftermath of the declarations of independence by the breakaway regions of Georgia, South Ossetia and Abkhazia, Venezuela and Nicaragua were alone among Latin American countries in recognizing the independence of the new republics. Without a doubt, Russia’s alliances in Latin America are part of a greater geopolitical game. Yet, it should not be forgotten why there is so much resentment within the region against the U.S. Perhaps, the displeasure is the consequence of decades of U.S. intervention in Latin American affairs in order to maintain strategic interests. Russia has been accused by numerous editorial writers of possessing too much leverage over Latin American; it is understandable, if not forgivable, that Washington perceives Russian-Latin American relations as incursions into the U.S.’ vicinity of interest, no matter how archaic such thinking may be. Inarguably, Russia has “bought” the interest of Latin American governments that are not totally committed to Washington’s policies; it has furnished the region with investments in energy infrastructure, strengthened military capabilities, and provided means to combat drug trafficking. However, it is important to observe that Russia is not the only country that is vying to extend its influence over the region. The European Union, China, Taiwan and Iran have all demonstrated an interest in economic and political opportunities and partnerships, as well as diplomatic alliances gestating in the region. But Cold War rhetoric will still continue to resonate; both with Russia’s influence in Latin America and the U.S.’ presence in the Caucasus. Under this dogmatic hangover, Washington will always be suspicious of its longtime rival’s actions, in Latin America or elsewhere; even if Russia’s intentions in engaging Latin American governments are wholeheartedly innocent. By archaically viewing this region as America’s backyard, à la the Monroe Doctrine, the U.S. fails to properly conceptualize the depth of Russian involvement in Latin America, mis-characterizing it as a strategic threat, while in reality this may not be the case. To review sources, please click here. Please contact COHA if you would like a .PDF copy of this analysis. Please accept this article as a free contribution from COHA, but if re-posting, please afford authorial and institutional attribution.